With an American flag sticking out of the twists in her hair, Anna’ Williams, 12, may have skipped a day of school to see the first lady speak at the University of Florida, but she thinks it was worth it. As Michelle Obama made her way into the Stephen C. O’Connell Center, she stopped to give both Anna’ and her sister, Ji-Reh, 8, a hug before the first lady made her way to the stage. 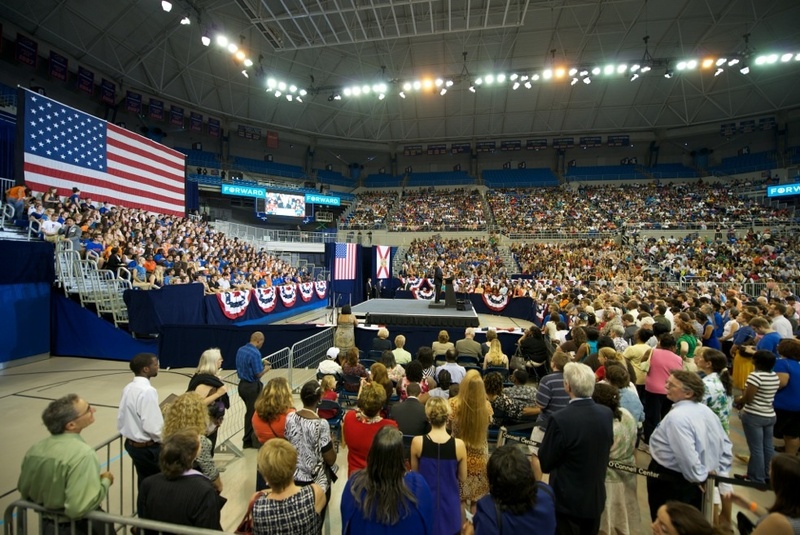 Obama spoke to a crowd of 10,225 Monday afternoon, according to staff at the O’Connell Center. 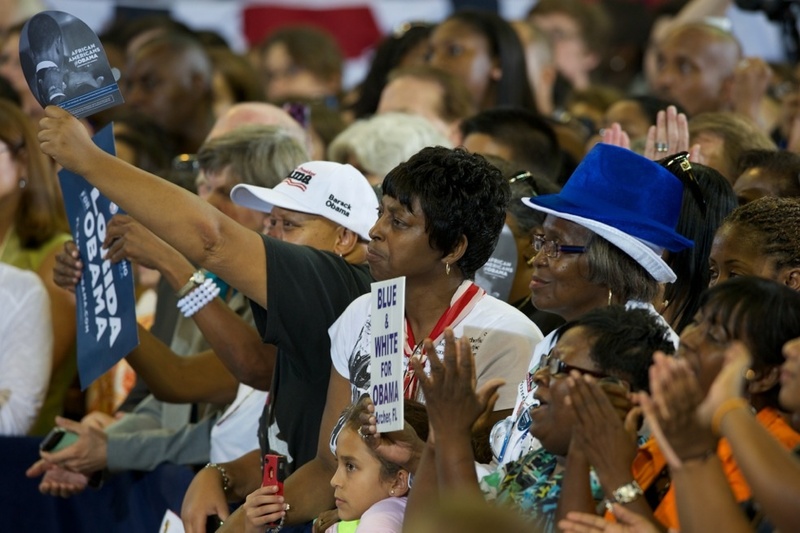 She encouraged those of all ages to vote and register others to vote to ensure her husband’s reelection. She warned the crowd the election could come down to a few battleground states like Florida. “And you all know a thing or two about close elections in Florida,” she said. 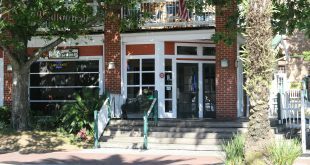 As she spoke inside, supporters of Mitt Romney, Republican candidate for president, stood outside Ben Hill Griffin Stadium with signs such as, “Gators (Heart) Romney,” and Jeb Bush’s son, George P. Bush, spoke at the Swamp Restaurant. Last time she came to Gainesville was during a campaign stop in 2008, about two weeks before the election. She spoke to almost 11,000 people downtown outside of the Hippodrome State Theatre. Anna’ and her family were all there to see the first lady that time too. As a single parent of four girls and a boy, Alexas Williams said it was incredible to see the first lady encourage and inspire so many young women, even four years later. She said the best part about seeing Obama again was how much has happened since her husband took office. 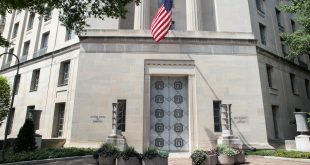 He said the president was the reason for everyone coming together Monday. Before the Nov. 6 election, he said the most important thing people can do is register themselves and others to vote. Hakeem Hasan, a member of the UF ROTC and Marine, led the crowd in the Pledge of Allegiance. 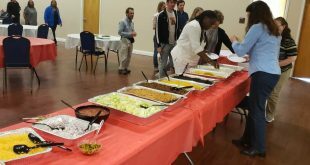 According to the first lady press office, Hasan is from McIntosh, just outside of Gainesville, and has been active with the Obama campaign since 2008. Others like Bishop James McKnight, of Gainesville Church of God by Faith, gave the invocation, others from Obama for America spoke. 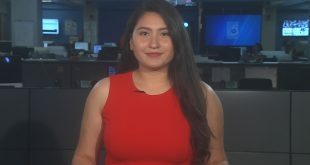 Rod Smith, the Florida Democratic Party Chairman, went on the attack against Romney’s campaign and said this election has two very different roadmaps and signs. “But Romney’s sign is just a U-turn to go backwards,” he said. Rep. Corrine Brown, (D-Fla. District 3) joked with the crowd and said she wasn’t going to let the first lady go to Tallahassee without something representing the Gator Nation. She showed the crowd a Tiffany-blue box with what she said was a Gator-themed bracelet inside. When Michelle Obama took the stage, the roar from the crowd was deafening, but it didn’t stop members of the crowd from shouting “I love you” to the first lady. “When you walk through the door of opportunity, you don’t slam it behind you,” she said. While many have doubts about her husband’s course for the country, she said there is still a long road ahead where American can prosper together. 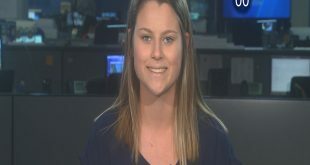 While the Williams family seemed pretty sure who they were voting for, the mother said the family would go see Mitt Romney when he makes his way through the state in the next few weeks. We have to give everyone a chance, she told her daughter. 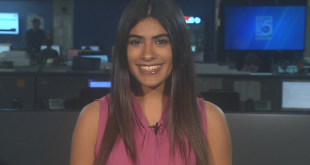 Anna’ shook her head, and then smiled. 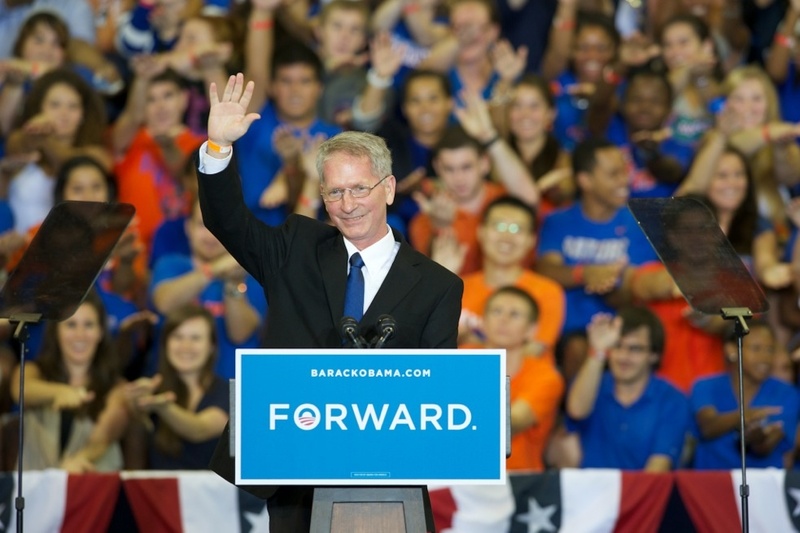 Gainesville mayor Craig Lowe speaks to the crowd before Michelle Obama on Monday at the O’Connell Center. 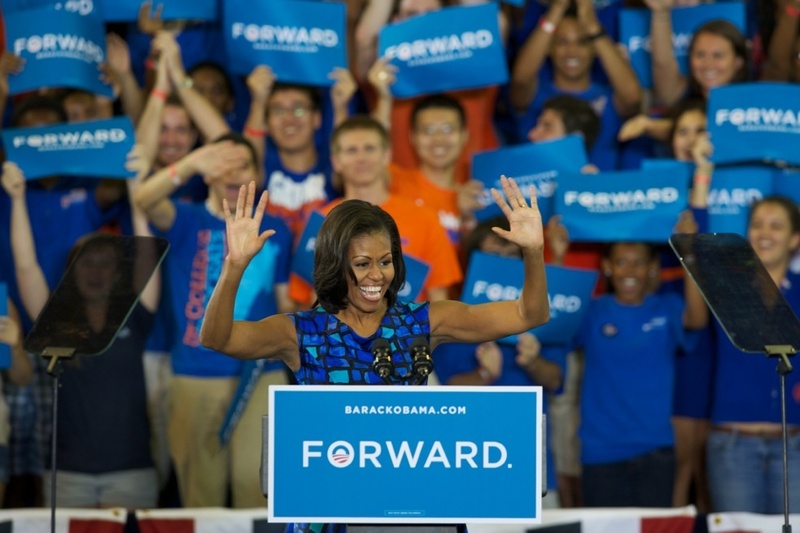 Attendees cheer as the first lady takes the stage inside the O’Connell Center Monday at the University of Florida. 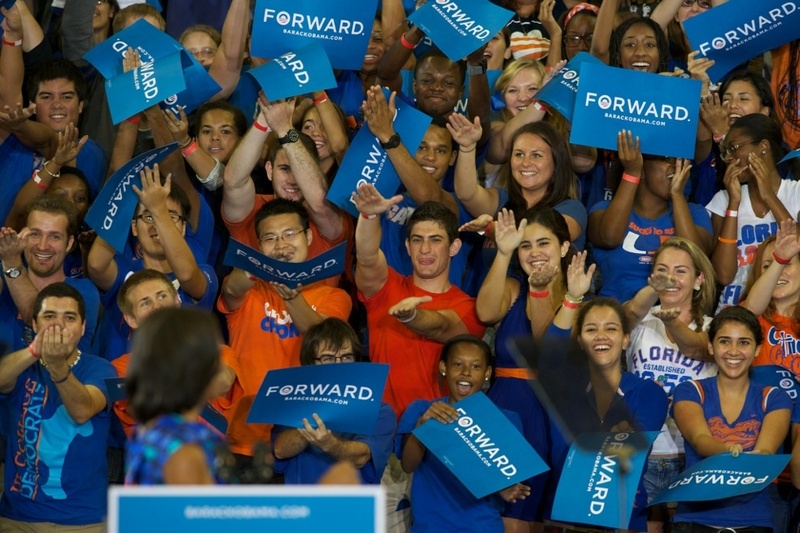 University of Florida students cheer for Michelle Obama during her speech Monday at the O’Connell Center. 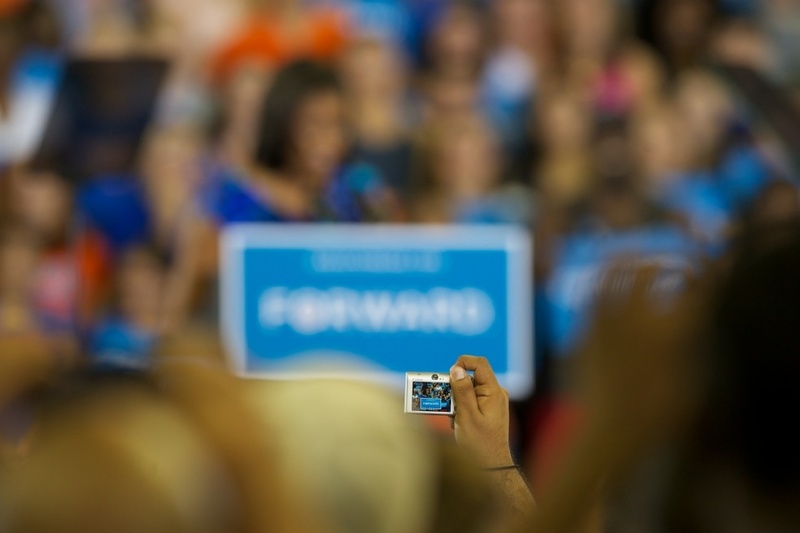 A speech attendee takes a photo of First Lady Michelle Obama on Monday at the O’Connell Center. Michelle Obama waves to the crowd Monday during her speech at the O’Connell Center. 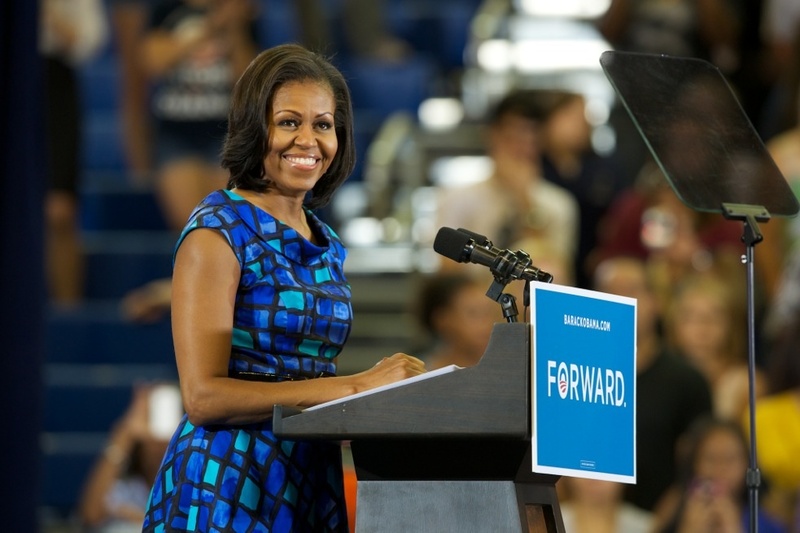 Michelle Obama speaks on Monday during a visit to the University of Florida. 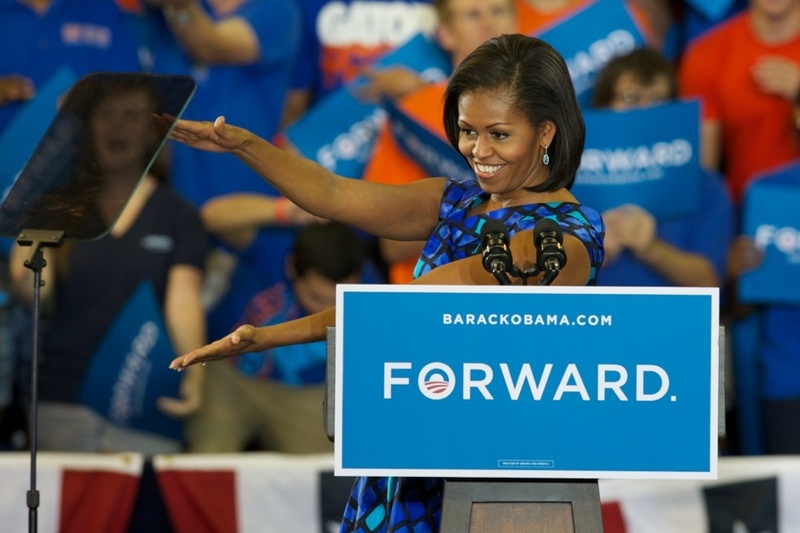 First Lady Michelle Obama Gator chomps during her speech at O’Connell Center Monday. 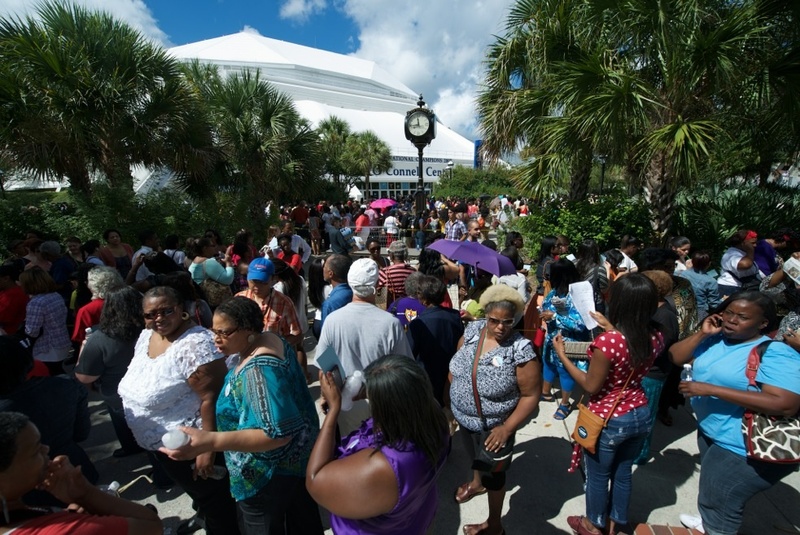 Attendees of the first lady’s speech snake around the outside of the O’Connell Center Monday at the University of Florida.